There’s going to be a bump in supply around the time of rotation, and in years past that was a big hit. That’s not so much the case anymore. 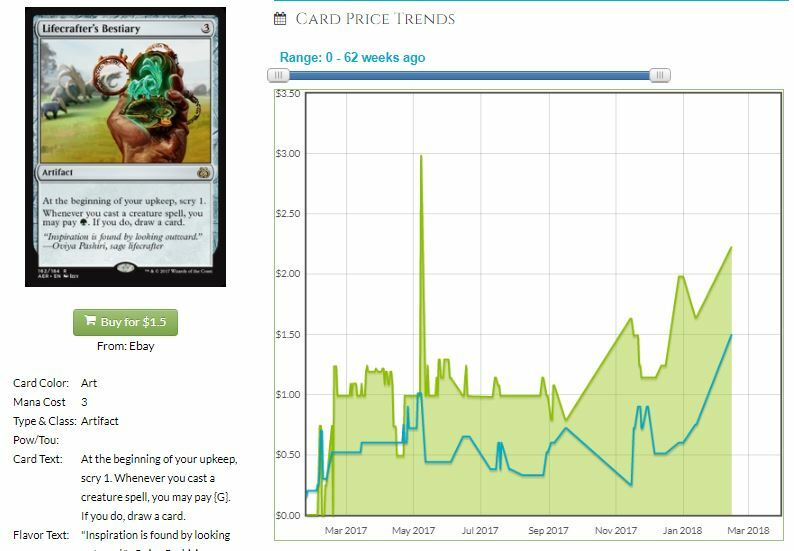 Lots of soon-to-be-rotating cards have been trending downward for a while. These are prices I want to watch, and I have an ideal price in mind. If things fall to that target, I’m moving in. If they stabilize above that price, I’ll have to evaluate what to do. All of the enemy-colored fastlands are decent targets, especially because we’re overdue to get the allied-color ones reprinted someplace. They are not 100% gold in Modern, though, because a lot of decks don’t play the full set of four, often using two or less. Spirebluff is the most attractive because Storm, one of the most popular and least expensive decks, plays the full set. If Wizards decides that Storm is too good and needs a banning (again) then this will take a hit and there’s not much you can do to mitigate that risk. I would like to hope for $5 but I think it’s a little too popular for that. $6 sounds about right, but I think this is a super-solid pickup at $15 for the foils, with the idea that you’re safe from a random Commander deck reprint. What song do you hear? You know how good this is. It was $10 at release, as everyone sought to break it in Standard and it’s been trickling lower ever since. Frankly, I’m surprised that it’s gone this low already. It sees no play in formats besides Commander and casual circles, and that’s a two-edged sword. I love having a stack of these that can consistently appreciate over time, but this is also a card that’s very very easy to add to a new Commander deck printing and torpedo that value. I am much bigger on picking up foils here. Getting in at $2 won’t be traumatic, even if it gets reprinted I can put them aside for a long time and wait it out. Foils, though, because these are Commander gold. You don’t need a big stack of these, as the appreciation creeps upwards and I won’t be shocked when it is a $20 foil in a year. 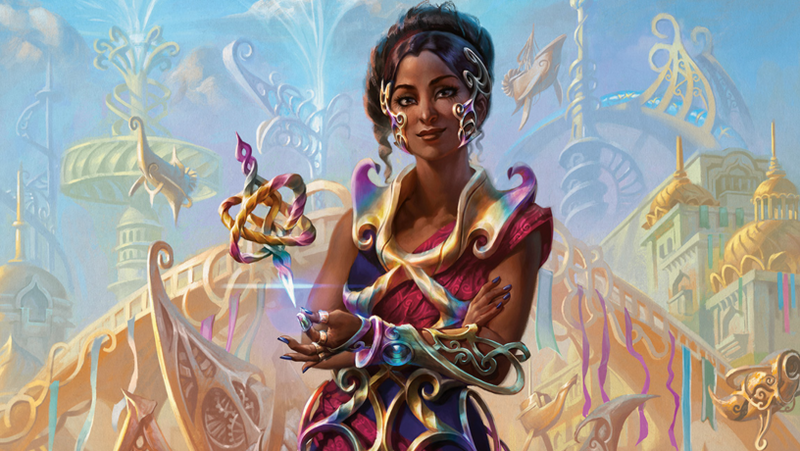 There’s still an infinite combo to fire off in Modern, and considering that she hasn’t seen much play since the banning of Felidar Guardian, she’s not as cheap as you might expect. Nissa, Vital Force is $3. Dovin Baan is $2. That’s the expected rate for planeswalkers that see no play. Saheeli requires a Commander deck with artifacts for her ultimate, and she can’t be used in Atraxa decks. Something’s got her price up that can’t be tracked, and I suspect that it’s casual players. What I’m betting on, though, is a new infinite combo of some kind. It’ll be another mistake, and Modern will be awful for a couple of months, but I’ll be selling into that hype. What’s not to love about a land that will help your artifact deck out? It gets really tasty as a spec when you see that it’s a three-of in the Krark-Clan Ironworks deck that was 3rd place at GP Phoenix. Lantern Control has been playing one or two copies for some time, but really, this is a card that is an auto-add in artifact-themed Commanders. Being good in Modern will just accelerate the process. I don’t think this will fall farther, and honestly, the GP performance might lead to a spike. It’s already got a high foil multiplier, meaning that Commander players have been soaking up the foil copies these two years. The reprint risk is high here too, so foils are where I’d prefer to be. Scrying and drawing. Are we sure its color identity is green? I love this card. I honestly can’t play it enough in Commander. I love everything that it does for me and at such a low cost! The reprint risk is still a real thing, and the foils are surprisingly low as a multiplier. 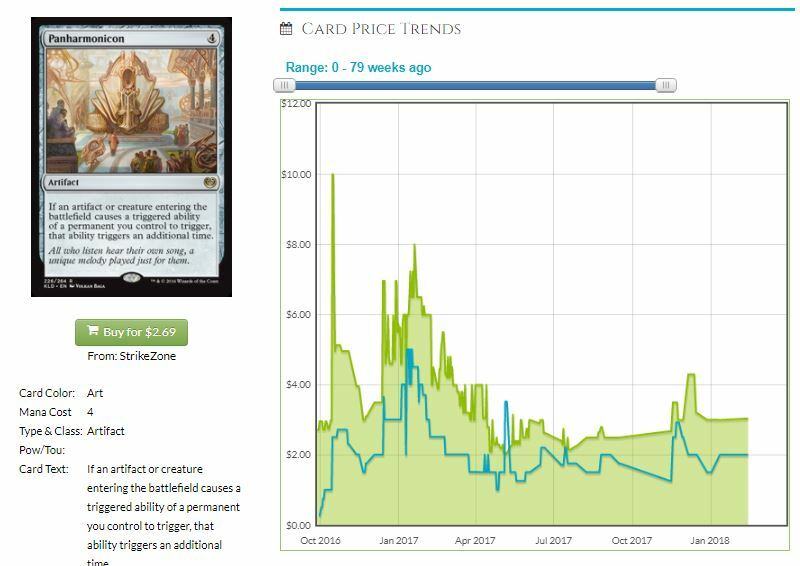 The price has been edging upwards ever since it was sub-$1, and while you can still get playsets for $8 on eBay, that won’t last too much longer. I don’t need this to drop lower, and I don’t think it will. It’s trending upward, and I expect it to stabilize in the current price range. It might even keep going up! Again, foils are safer and more likely to pop sooner, due to the much lower supply. I’ve sung the virtues of this card before, and while you can’t get it for under a buck anymore, you can still get in cheaply. I’m less afraid of reprints here, as it’s got a mechanic and a usage that’s more specific to artifacts and tougher to just throw in. It was a three-of in the KCI deck, so a spike this week may be incoming. Target: Now. 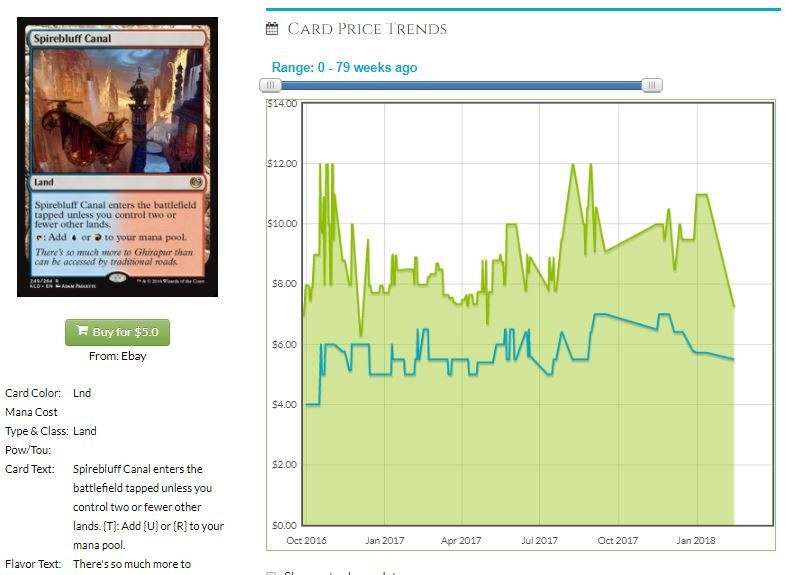 It’s been on an upward path, and the foils have hit prices of nearly $20 after it did well at the PT. Get your few now while the hype is low! Bonus! Don’t buy these as spec targets, intriguing as it might be. Verdurous Gearhulk ($4/$9/$27): The masterpiece foil makes the growth too slow for my taste, as great as it is. The foil will always be existing in limbo, but huge growth is not going to happen. Exquisite Archangel ($1/$4): You might be thinking that this is Commander all the way, but really, how good is Platinum Angel? This is possibly good but it dies or get bounced first, and then you’re dead. Don’t fall into the trap here.